G-Cuff from Stomatotech aids in implant placement. This easy-to-use, multipurpose implant accessory allows for noninvasive tissue retraction, supports tissue to prevent collapse, and creates a barrier to stop cement and adhesive from invading the tissue. 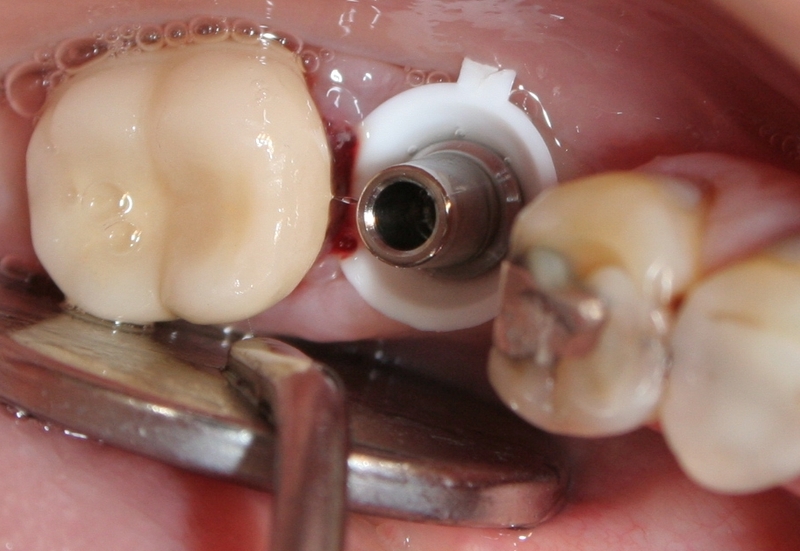 The G-Cuff also makes it easier for the clinician to move and handle an abutment. G-Cuff has a unique size succession that makes it universal and compatible with almost any implant brand and system. Each kit contains 48 disposable G-Cuffs, 6 of each size from 1 to 8.